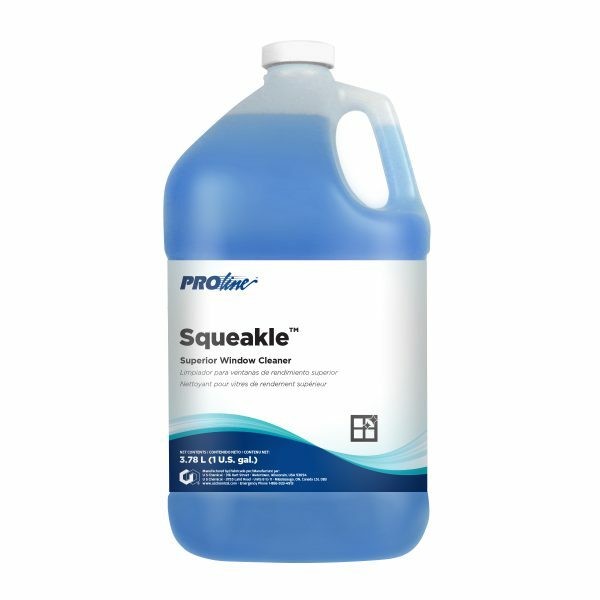 Squeakle™ is designed for fast, thorough cleaning of all glass, porcelain, formica and chrome surfaces. It quickly removes soils without smudging or smearing. It easily removes smoke film and grime from windows and auto interiors. This product is applied with a handy trigger sprayer, then simply wiped away without rinsing. It is ammoniated for fast soil penetration and increased detergency. Regular use of this product keeps everything gleaming!